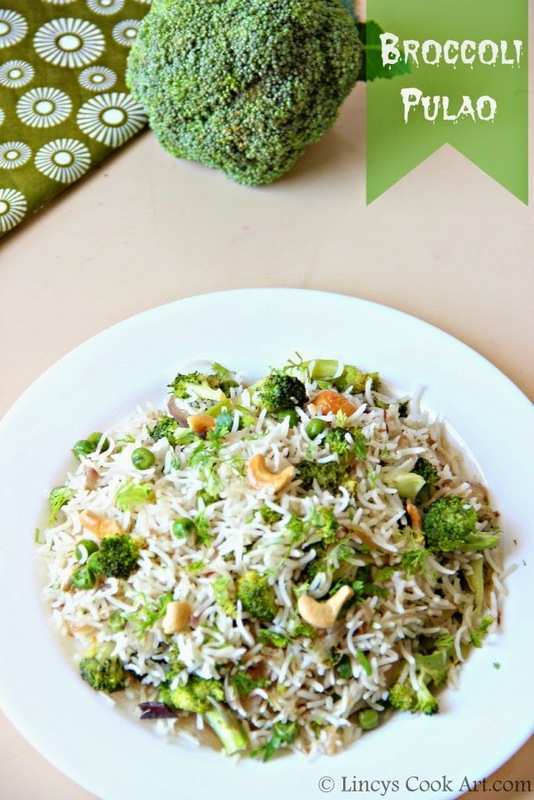 I have previously tried Broccoli Rice in South Indian way and Chinese Style, Broccoli Fried Rice and I wanted to try the North Indian Pulao version with this healthy veggie. So today's post is Yummy 'Broccoli Pulav'. I very much wanted to add this veggie in my family diet as it contains so many health benefits. 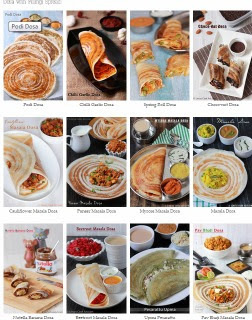 So i am trying out different combinations to see what combo works out with broccoli to suit the Indian Palatte. This is an easy to make healthy rice preparation & suits for quick lunch box recipes. I have added peas in this recipe. Adding peas is purely optional. This recipe could be tried with leftover rice too if it is not mushy. One pot meal;tastes really nice when consumed with Onion Raita and Pickle. Half cook the rice with salt and drain the water and allow to cool. Heat oil in a pan and roast the raw gram masala spices cinnamon, cardamom, cloves, bay leaf and jeera. Once you get the roasted aroma of spices, add the onion with green chillies and cook till soft. Add the broccoli, salt and saute for a minute. Add the peas and sprinkle a tablespoon or two of water; close with a lid and cook for two minutes. Now add the garam masala and mix well. Add the cooked rice and mix well. Add salt if required and sprinkle with coriander leaves. Good one Eliza .. I would love to eat as it is . delicious n attractive.. lovely green color of brocolli..
Pulao looks delicious and lovely clicks! Lovely with those amazing flavors; another rice dish which stole my heart. first time to your space,happy to follow you..Do drop by mine when you have time !!! Amazing clicks....love the green color..healthy pulao.